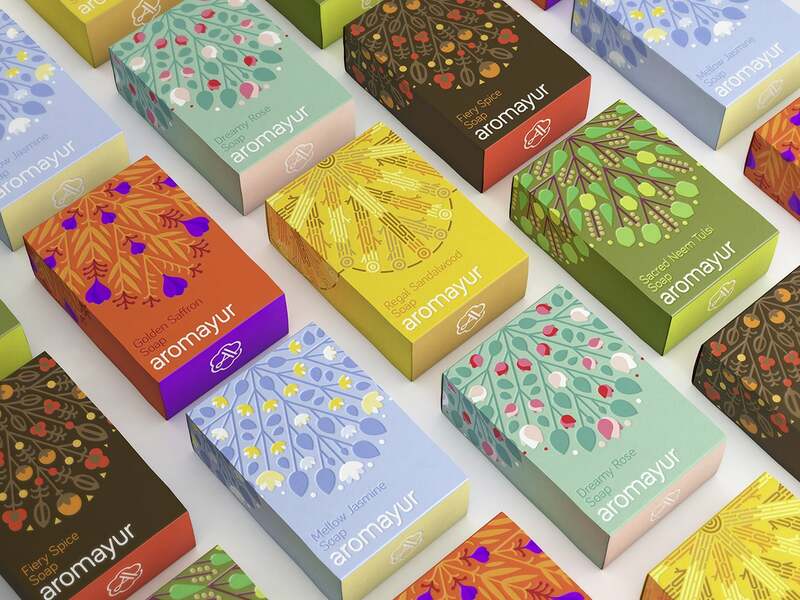 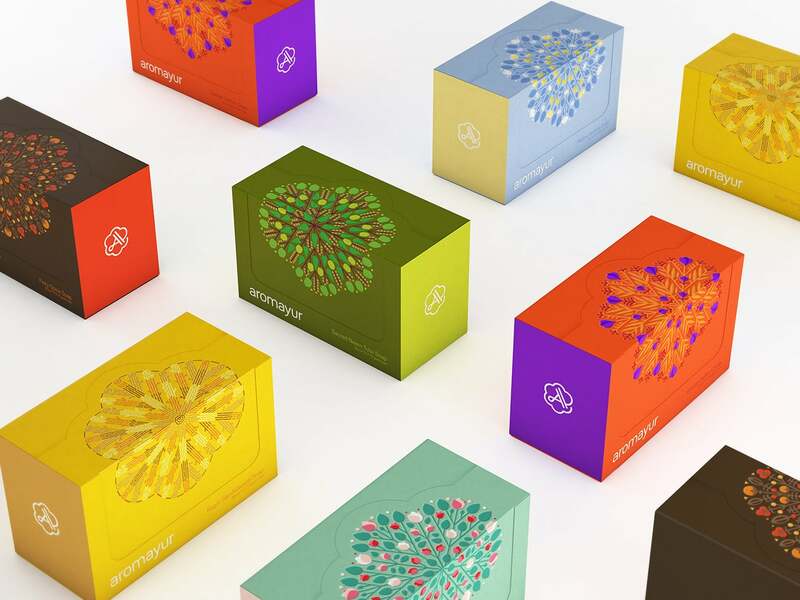 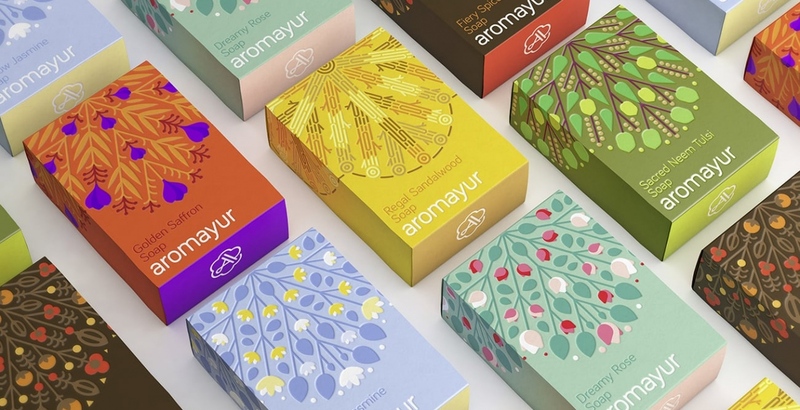 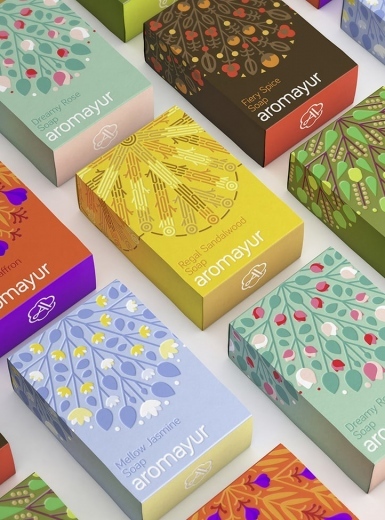 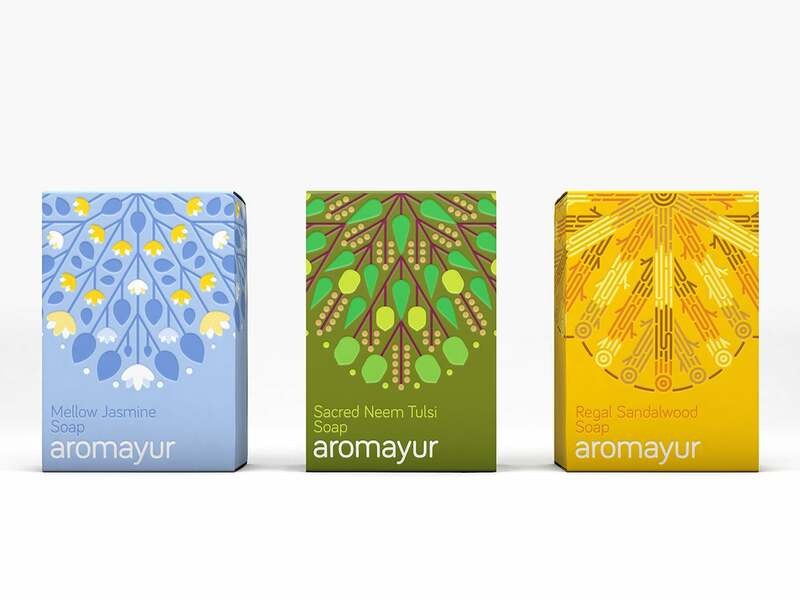 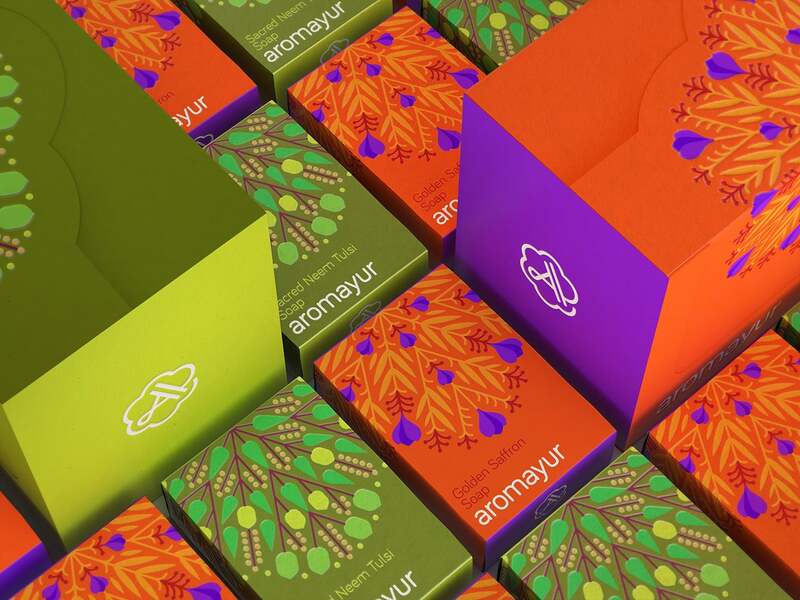 Zooscope designed the identity and packaging for Aromayur, a new line of all-natural products by Hem Corporation; India’s leading perfumed incense company. 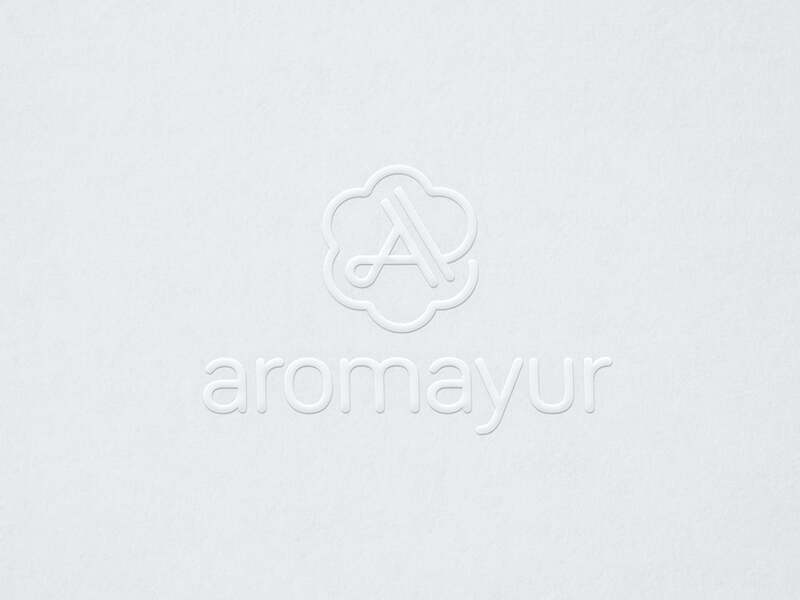 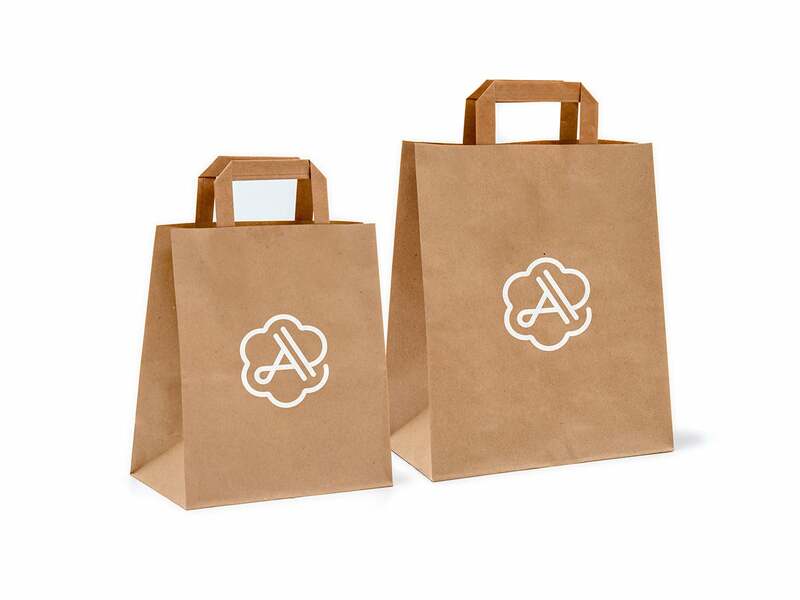 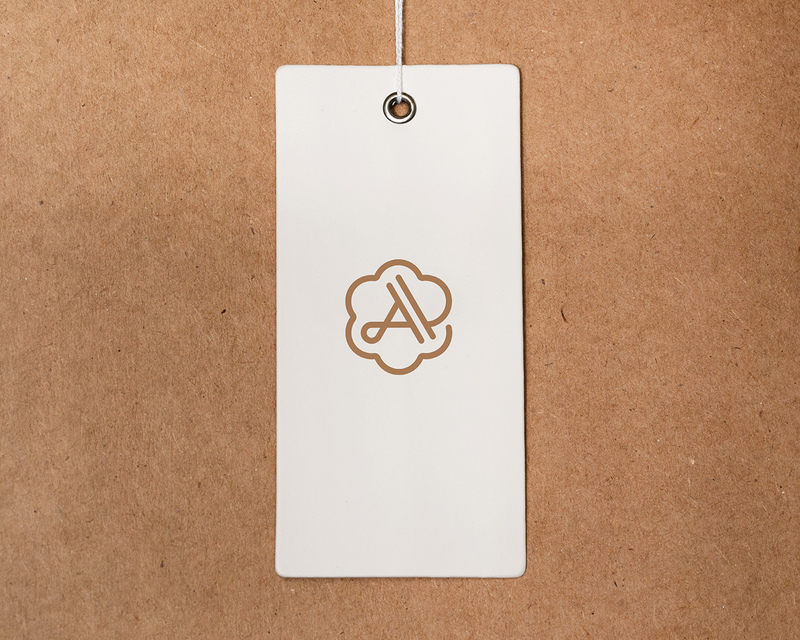 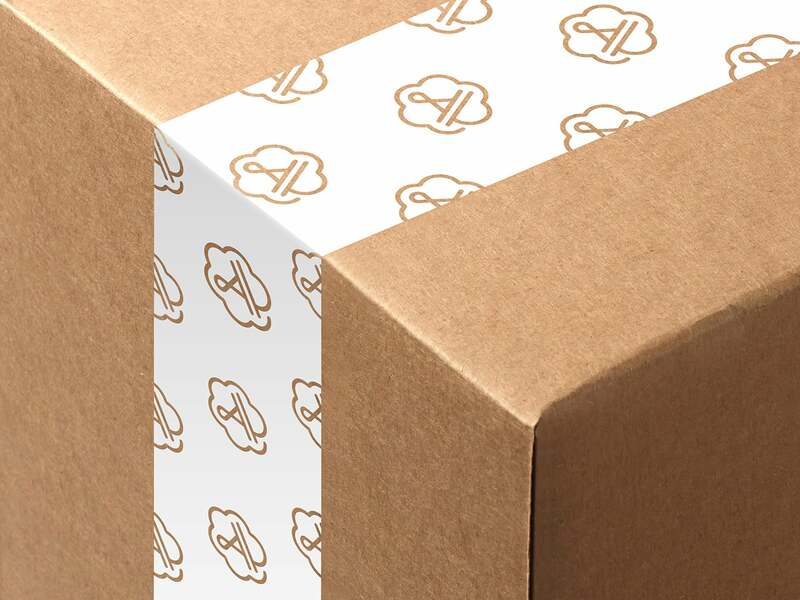 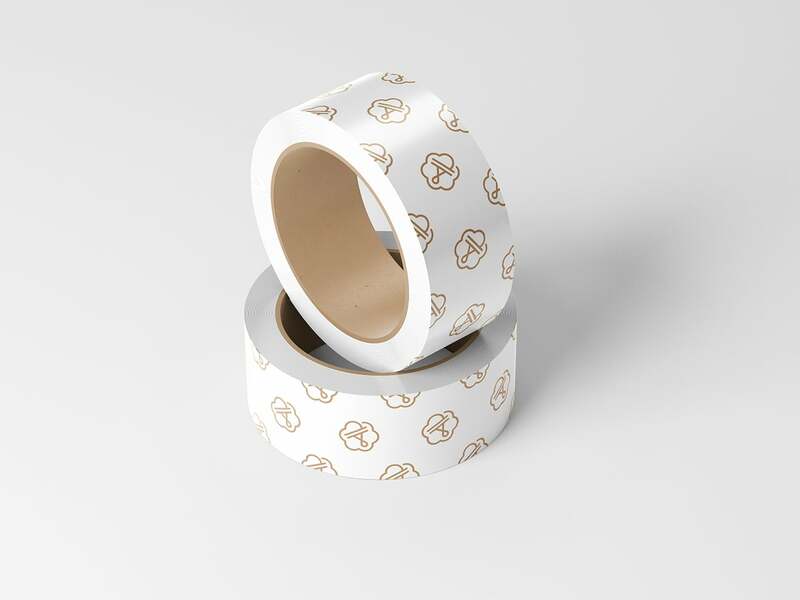 The single stroke logo evokes wafting fragrance and resembles a seal to give the identity a luxe feel. 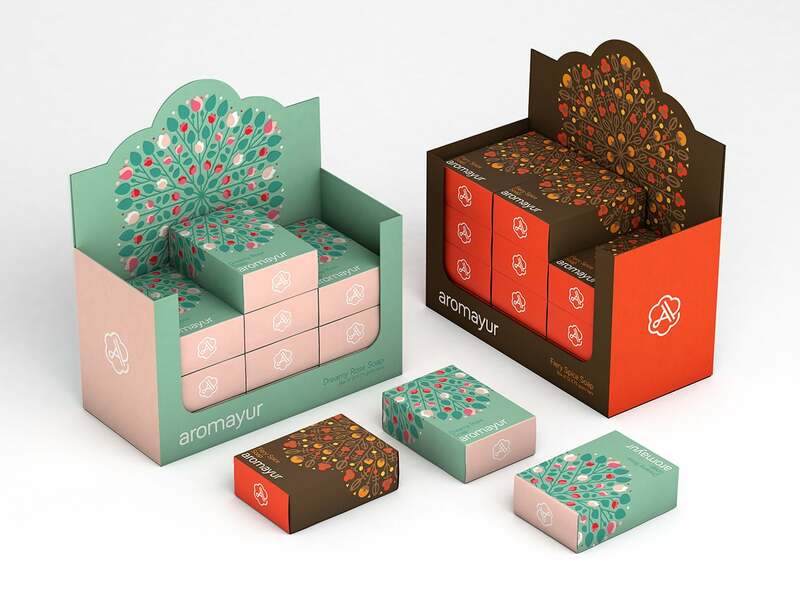 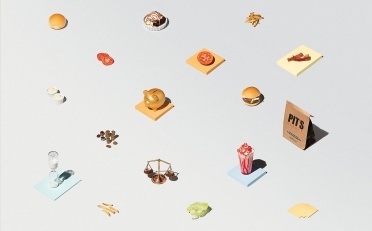 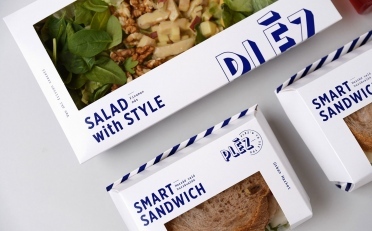 The packaging illustrations use an underlying grid that adapts to different variants giving the company flexibility to launch fragrances. 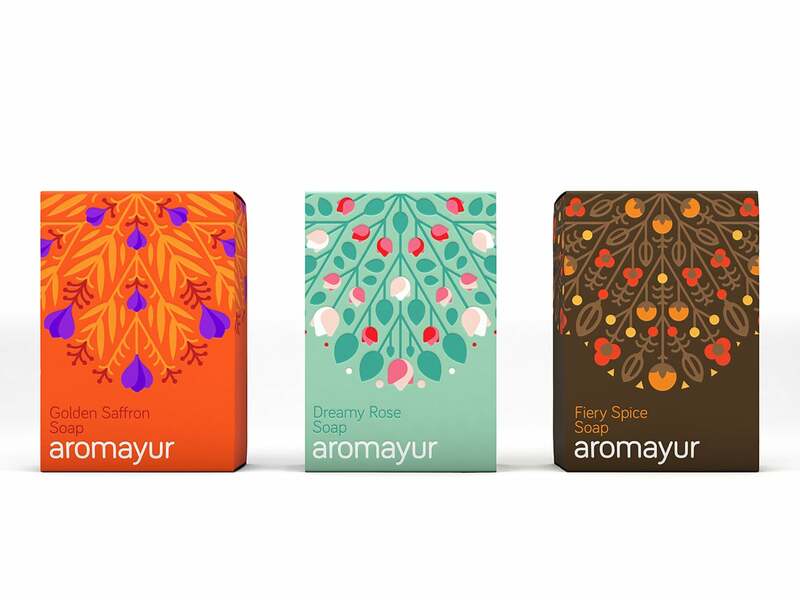 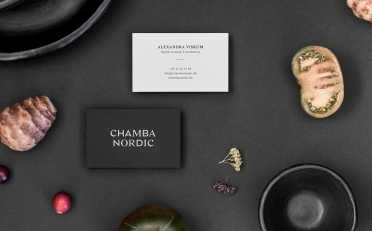 Custom artworks were made using scent ingredients to create a premium, natural and vibrant identity.